This Washington Drivers Test practice, with multiple choice questions, is intended to help you prepare for the Washington written knowledge test that is required before you can get your driver’s license. Passing the Washington permit test is as easy as 1 2 3 using our online interactive driving practice tests with high-quality images. Study for this driver’s license practice test is completely free. One of the things many people do not know is that the state of Washington is named after President George Washington. Not many states can claim that honor! Washington was known for not giving up when the task seemed hard. Getting a driver’s license might not seem hard to you, but just in case it does, we want to help you. If it does seem hard, take after Washington, don’t give up. The best way to pass the Washington permit test is to get the online Driver Guide and study it. Make it a game while you are driving with others and see if you can recognize signs by colors and shapes. Then test others and see if they know the laws and rules of driving. What is the difference between a red light, a flashing red light, and a red light with an arrow? If a sign has a triangle with a truck heading downhill on it, what does that sign mean? What is the difference between a yellow round sign with two Rs and a white x-shaped sign with Railroad Crossing? If you speed in a construction zone, how much is the fine? What is a variable speed limit sign? What type of sign is rectangular with a white background and black letters? Why is there a $500 penalty for not doing what the sign says? 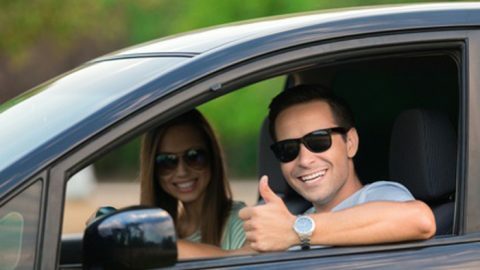 Find the answers to those questions in the Washington Driver’s Guide, and contact us to take practice tests so you can pass the test and get your driver’s license.